Too often I wonder 'Where are our Planxty, Sweeney's Men, or Bothy Band?' Where is a band who have the daring, inventiveness, and vigour of Seventies trad, but speak it in a language that resonates with my and (more importantly ) younger generations? 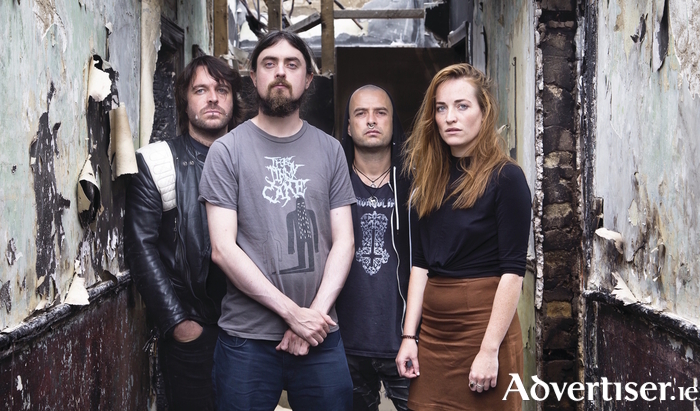 Lankum are that band, and the Dublin quartet's debut is not just a quality album, it's possibly one of the freshest, most vital trad/folk releases in years - and it has something to say. Key track is 'Deanta in Éireann', where Ian Lynch uses the vocal melodies of the 'come-all-ye' folk songs, as well as the language of romantic nationalism and sentimentality, but often ironically, subverting it, and forming a savage critique of the social and economic state of Ireland, its political culture, and public apathy. It's a stirring call to action - the drone and swells of the uillean pipes and fiddles in the background only emphasise this further. That same political charge runs through anti-recruitment song 'Sergeant William Bailey', which echoes some of the feistiness of The Dubliners in their heyday; while 'Peat Bog Soilders' and 'The Granite Gaze' are deeply poignant - the former also showing what fine harmony singers Lankum are.